Just in time for Hurricane Irene’s arrival, a new survey from the Red Cross claims that social media is increasingly being used by Americans seeking information on natural disasters. A reliance on social media and text messages during emergencies has hidden dangers. When a major earthquake struck the East Coast on Tuesday, residents were taken aback. Mobile networks and social media sites quickly overflowed with the traffic of users trying to confirm the extent of any damages. Thankfully, damages were minimal. The earthquake did, however, raise many questions about critical information and communication systems during times of disaster. For example: How can we talk to each other during and after a weather emergency if towers and lines go down? Which technologies and media promise the most reliability? Who is reading our tweets when a crisis strikes? Are government agencies and emergency responders paying attention to Facebook more than to Google+ or Foursquare? The American Red Cross has released a new survey that claims Americans are increasingly relying on the Internet and social media for disaster information. According to the Red Cross, 18% of Americans regularly rely on Facebook to obtain disaster information. The survey also claims that the Internet is the third most used medium to find out information about disasters–radio and television are more frequently used. Facebook appears, by far, to be the most heavily used social media site for finding out disaster information. 91% of respondents polled over the phone and 78% of respondents online said they had used Facebook during natural disasters; another 25% of online respondents also used Twitter. Personal blogs, Flickr and tumblelogs such as Tumblr and Posterous lagged far behind. 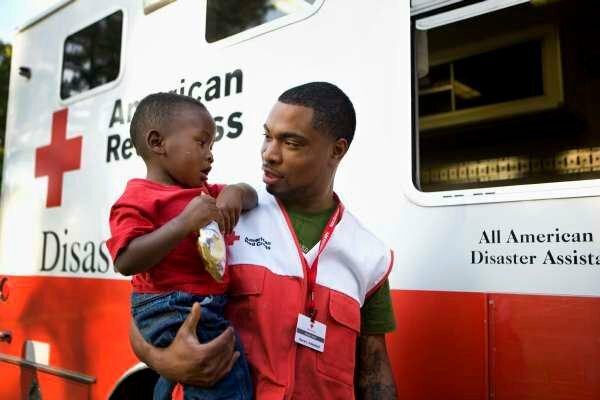 A video teleconference on Facebook was held by the American Red Cross to discuss their findings. The conference had been planned a week in advance of the earthquake, and Hurricane Irene. Taking place at Facebook’s Washington office, the event marks the Red Cross’ first video teleconference on Facebook. Much of the discussion focused on the use of smartphone and Facebook applications to distribute emergency preparation information, with participant Stacy Elmer of the Department of Health and Human Services explaining how the agency has crowdsourced potential emergency preparedness apps. The approach of Hurricane Irene–expected (as of press time) to be the most powerful storm to hit the East Coast in years–makes this an even more timely discussion to explore. Coastal states from the New England region to Florida are believed to be at risk for flooding and strong winds, with landfall anticipated in North Carolina Saturday. For most people reading this article, FEMA’s advice makes sense. The use of text messages, email, or social media services such as Facebook or Twitter during or after a disaster is second nature to wide swaths of the population. But for senior citizens, the poor, and people who simply don’t have ready access to the Internet or a mobile phone to send text messages with, keeping tabs on friends and family post-disaster is difficult. Using text messages to check up on friends and families following natural disasters represents a significant financial expense for those living paycheck to paycheck or on a fixed income. The Red Cross’ survey reflects this. Respondents who use Facebook and the Internet to gather emergency information tend to reside in metropolitan areas and have both higher incomes and higher levels of education than other respondents. However, there was one interesting finding: Respondents with children in their households tended to be far more likely to use social media. Keeping in contact via social media and text messages is wonderful in theory and works well during mild events such as the East Coast earthquake. But in genuine emergency situations such as Hurricane Katrina or the recent Mississippi River floods, the time delay caused by typing in SMS text messages or social media updates can cause risks to safety or property. As much as social media evangelists may claim otherwise, sometimes there is no substitute for voice-to-voice communication. Instead, social media and text messaging are best suited for different roles during and following natural disasters or other emergency situations. Fast Company has written on the Army Corps of Engineers’ use of Facebook to offer hyperlocal information to flood victims about flood risks, reconstruction, and insurance issues in their communities. During Hurricane Katrina, social media services were used to distribute aid to residents impacted by the disaster. When mobile phone lines were overloaded during the 2008 Mumbai terrorist attacks, SMS text messages helped relatives obtain information on the safety of hostages. Hotel guests who found themselves besieged by gunmen were able to establish an impromptu communications chain through the use of text messages. Sadly, during emergencies, some people are “more equal than others” when it comes to communication. Older individuals, the less well-off, Luddites, and those who simply haven’t acclimated themselves to the dubious joys of text messages, Facebook, or Twitter will face significant difficulties in keeping tabs on loved ones when the worst happens.